Part two of the reader Q&A continues today as I answer your questions. Today's topics: How do I maintain poise during a disagreement, especially with a family member? Do you have to be a size 6 to look good in the ten-item wardrobe? (I think you already know the answer to that question is NO.) Where can I get a good bra fitting? All of these topics are discussed in today's video plus much more. 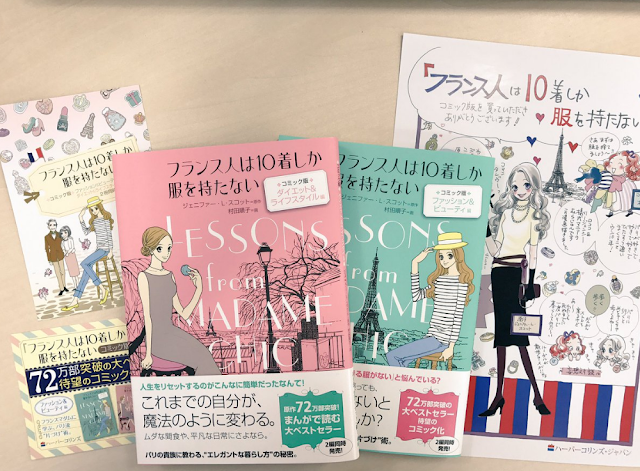 Here is a snippet of one of the pages from the new Lessons from Madame Chic comic book from Harper Collins, Japan. So much fun! 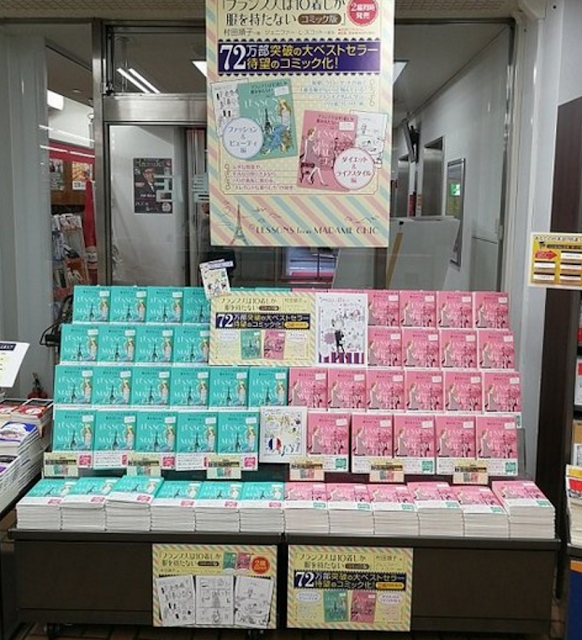 Here are some more pictures of the books from around the world. First stop, China! Hi Kamloops, I love your tip for cleaning the bathroom as you use it. When the kids were younger (but old enough to sit up in the bath without me being right there) I would clean the bathroom while supervising them. I know many other people do this too! Thanks for your tip. Today I would love to hear your thoughts on the subjects discussed in the video. Have you ever lost your poise during an argument? How did you learn from it? Plus size ladies, do you have any words of wisdom to share with our readers regarding dressing well? Do you have any recommendations for where to get a good bra fitting? Let me know and your comment could be chosen as comment of the week on the blog! Reader Q&As are finally back! Your questions have been piling up and in the next three videos I answer them. Today, I'm answering a question about cleaning in your nice clothes. What should you do if you get really hot while cleaning the house? Also, what about people who live in a place with the same climate year-round? Should you have a year-round ten-item wardrobe instead of a seasonal one? How do I prepare my nightly and weekly reflections? I hope you enjoy my answers in today's video. Be sure to come back and watch the next two installments as there is so much more to discuss! 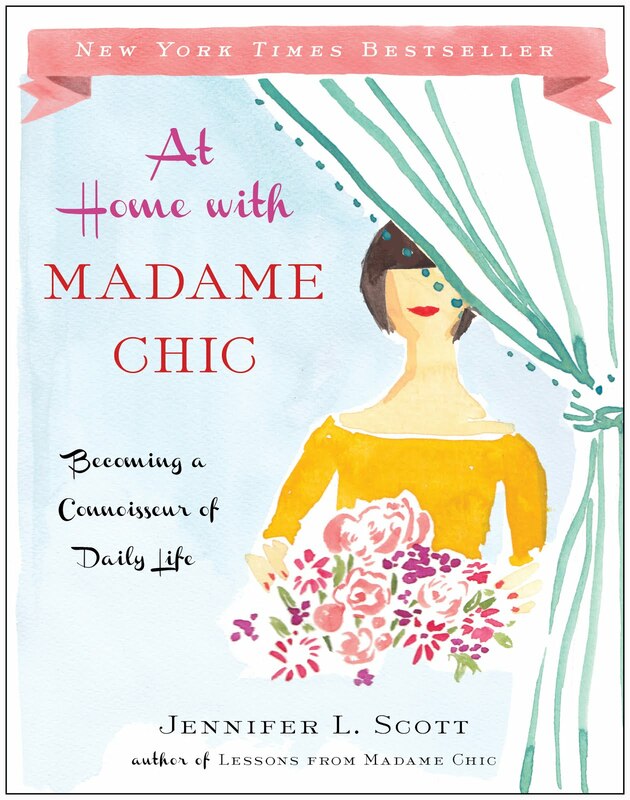 I will be doing a book club this summer on The Daily Connoisseur! 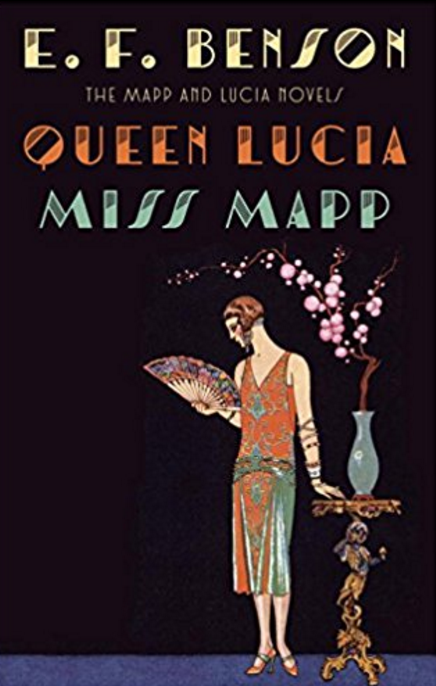 We will be reading the Mapp & Lucia books by E.F. Benson, starting with the first two books, Queen Lucia & Miss Map. 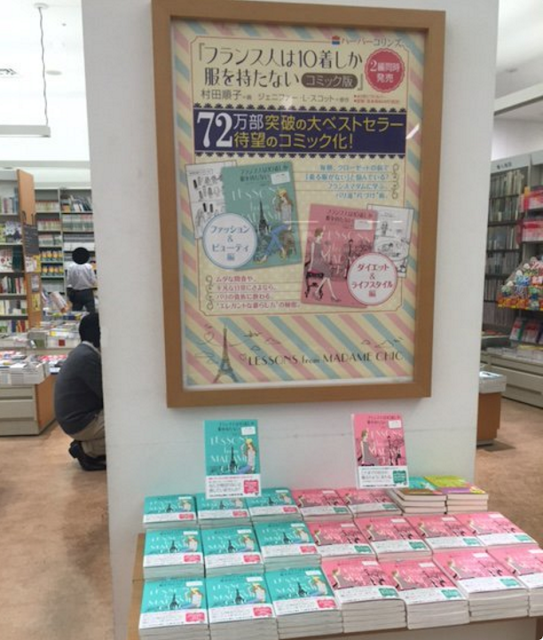 I am choosing these books because they are perfect summertime reads and are so apt for The Daily Connoisseurs. Also, if you have a kindle or other eReader, these books are free! They are also available in paperback or to listen to on Audible. I have not formally announced this yet, but wanted to give you a head start in reading so you can join in on the book club. 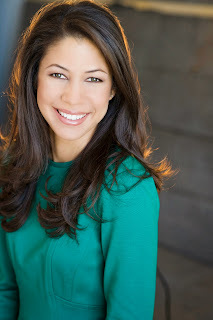 Hi AnnMarie, Looking on Pinterest is a great way to discover what styles you like. 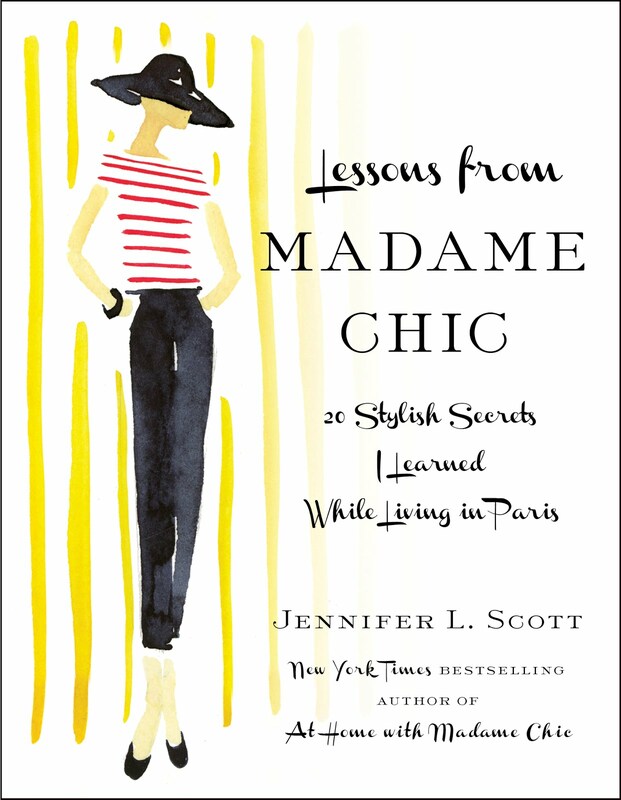 You could also look at magazines or observe people you admire (who dress well) and figure out what your style is. I love romantic modern chic. It sounds fabulous! Today, I would love to know your thoughts on today's discussion. What do you wear when you clean the house? How do you avoid wearing exercise clothes all day, everyday (or not?)? Do you live in a place with a year-round climate? Have you cut distractions in your home? What do you think about modern TV shows with all of their violence? Let me know and your comment could be chosen as comment of the week on the blog! Stop by on Thursday to see part two in the Reader Q&A series, when we will discuss poise in arguments, plus size advice and bra fittings among other topics. See you then! Good morning, everyone! 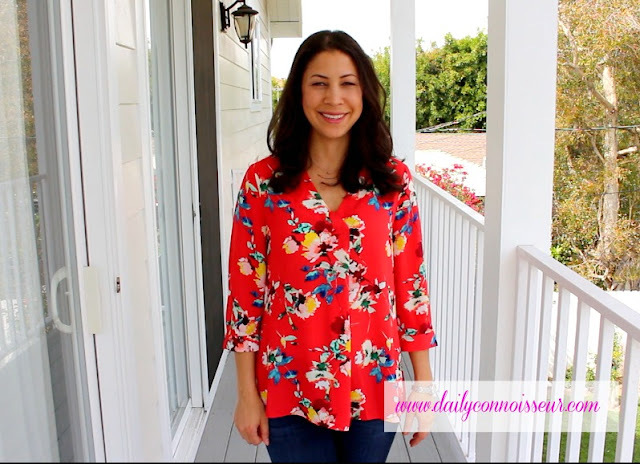 This has been such an exciting week with my ten-item wardrobe posts going up. Thank you for all of your comments and encouraging input. Today, I have a very fun and different bonus blog for you. I've partnered with Halsbrook.com, a sophisticated online shopping site, to show you different ways you can style a neutral dress. I've had many requests over the years to show how I would style the same dress in different ways. This is a crucial skill to learn if you are going to take on the ten-item wardrobe. 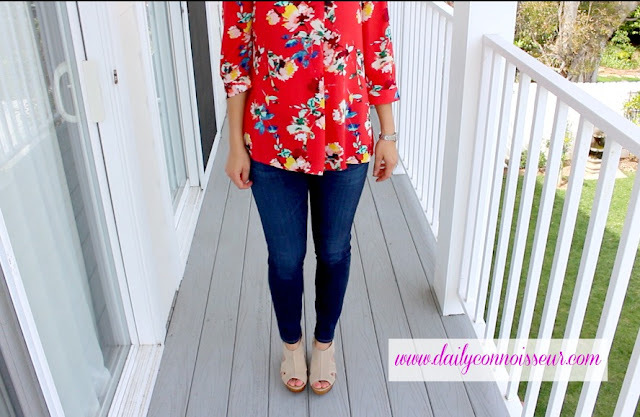 Knowing how to style your clothes creates different looks and gets rid of the need to have so many outfits in the first place. Before I show you the styles I have collaged for you, I want to introduce you to Halsbrook. When doing research on them, I was immediately impressed. What sets Halsbrook apart is their thoughtfully selected designs. I honestly love the "eye" of their buyers. Their collection truly does have a sophisticated ease. Their curated collection lines up with the classy, lady-like style that defines The Daily Connoisseur. More on Halsbrook and their story in a minute, but first let's look at the 7 different looks I have collaged. 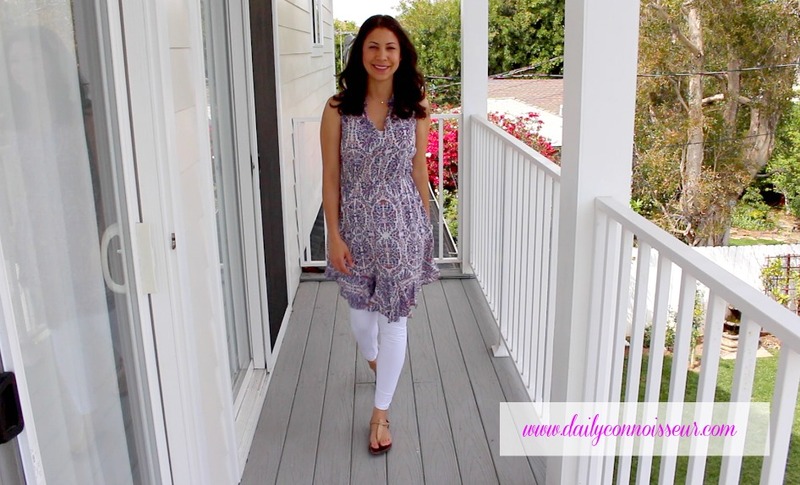 This will hopefully give you ideas on how you can style your own neutral dresses at home. All of these collages feature the Les Copains beige ponte jersey knit dress, but they would work with any neutral look. 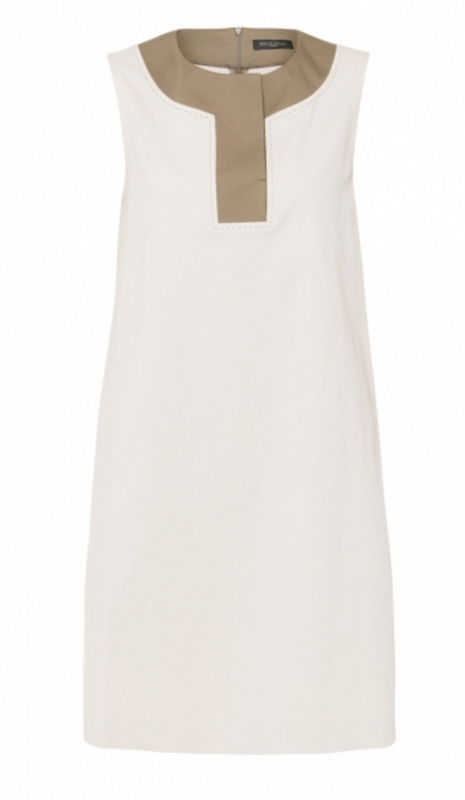 After the collages, I feature other neutral dresses that Halsbrook carry. Beachside Dinner This is an elegant, yet casual look for a supper by the sea. The turquoise in the necklace offsets the neutrality of the other pieces, making a subtle statement. Featured in this look is the Les Copains Beige Ponte Jersey Knit Dress, Meg Carter Designs Westminster triple strand necklace and the Kayu New Jen Natural Straw Clutch. I've paired it with this Women's Bp. 'Luminate' Open Toe Dress Sandal . Animal print Animal prints pair really well with neutrals. Some people think animal prints are neutrals unto themselves as they go with so many different looks. I love the look of leopard with a pop of red! This is a fun, sophisticated look. 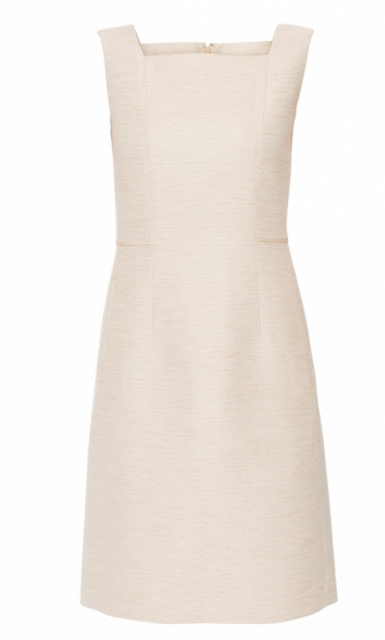 Featured here is the Les Copains Beige Ponte Jersey Knit Dress, W Kleinberg Leopard Belt and the Meli Melo Tan Halo Bag. I've paired it with the Women's Bp. Lula Block Heel Slingback Sandal Red . Polished Professional Ladylike and sophisticated, with Chanel-inspired tweed and pearls, this demure look is elegant for the office. Featured in this look is the Les Copains Beige Ponte Jersey Knit Dress, Belford sky blue tweed cardigan, Diana Broussard Margarite Pearl Necklace. I've paired it with the Women's Naturalizer Whitney Pump in blue . Artsy and Bright When wearing neutrals, it's a great idea to pair a brightly colored scarf close to the face to prevent you from looking washed out. I love this colorful scarf and neutral tote. Featured in this look is the Les Copains Beige Ponte Jersey Knit Dress, Taisir Gibreel Moody Loch Blossom Silk Scarf and the Alice D. Featherweight Tan Leather Perforated Tote. To add some more fun color, I've paired this look with the Halogen Freda Slide Sandal in Red Suede. Soft & Whimsical This would be a beautiful outfit to wear to a wedding or another elegant daytime affair. I love the whimsy of the "bug" wrap. The delicate earrings and blush shoes give the look a beautiful quality. Featured here is the Les Copains Beige Ponte Jersey Knit Dress, Janavi ivory embellished bug merino wool shawl, Atelier Mon Cherry Quartz and Pave Drop Earrings. I've paired this with the Women's Sam Edelman Susie D'Orsay Ankle Strap Sandal, Pink . Black & Neutral Black always pairs nicely with neutral colors and this is a sophisticated, yet edgy look, perfect for an evening at the theatre or a nice restaurant. Featured here is the Les Copains Beige Ponte Jersey Knit Dress, Ellsworth and Ivey Black Tweed Jacket, Oscar de la Renta Polka Dot Bead Clip Earrings and Serpui Nina Loom Black Box Clutch. I've paired this with the Women's Louise Et Cie Karisa Ankle Cuff Sandal, Black . As you can see, the options of styling a neutral dress are limitless. This proves that a ten-item wardrobe is far from boring, with one simple dress, think of the possibilities. I hope you enjoyed my 7 collages! Halsey Schroeder has her mother to thank for many things, not the least of which is the inspiration for Halsbrook. Halsey grew up watching her mother carefully build her wardrobe - choosing beautiful pieces that would stand the test of time. Having acquired the same sense of style, Halsey soon discovered how underserved this market was. “Everything was too flashy and trendy.” And just like that, Halsbrook was born. Our styling point of view is one of sophisticated sensibility with an emphasis on ease for the woman with a hundred to-dos to check off before her day is done. Every piece in our assortment is on-trend, not trendy, and has been carefully vetted for quality and fit. We style in head-to-toe looks, not just one-off pieces, and offer complete outfit ideas with a focus on versatility. We believe wardrobing should enhance our lives, not be hard work. So, the Halsbrook shopping experience is capped off with first-class service – as personal as shopping in a boutique store, with the ease of shopping online whether you’re at home or on the go. I hope you enjoyed this post and that you got some great inspiration from it when accessorizing your own wardrobe. Thank you to Halsbrook for partnering with me on this article. I'm truly grateful I found you! Today I would love to know... what is your favorite look? See you on Monday for a long-overdue Reader Questions Answered. Have a great weekend! FTC: This post was sponsored by Halsbrook.com. As you know, I am very selective in who I partner with and I am thoroughly impressed with this company. All opinions remain my own. Links may be affiliate. It's time for the ten-item wardrobe talk-through! Thank you so much to everyone for your encouraging comments on Monday's video, especially regarding my children. We had so much fun filming and they got a kick out of hearing your comments. They truly say, "thank you" for all of your kind compliments! In today's video, I discuss the new items in my wardrobe, the budget aspect of this year's choices and answer your questions. The Jessica Simpson nursing camisole is what I currently wear under my blouses. I love this camisole because it has a built-in bra and is so comfortable. Many people asked about the Barbara Barbieri wedge shoes I picked up from TJ Maxx. These shoes are very comfortable. I've worn them on several occasions now. Women's Sam Edelman 'Gigi' Sandal in Beige This sandal is honestly my favorite go-to sandal in the spring/summer season. It is very comfortable to walk in. I wore mine so much that my pair recently broke! ...and the white leggings, which I have paired with the Rebecca Taylor dress to make up for its short side slit. These leggings are one size fits all. They are very soft and I think they are great quality, especially for the price at $10! Check out the original ten-item wardrobe post here to see more on each item. 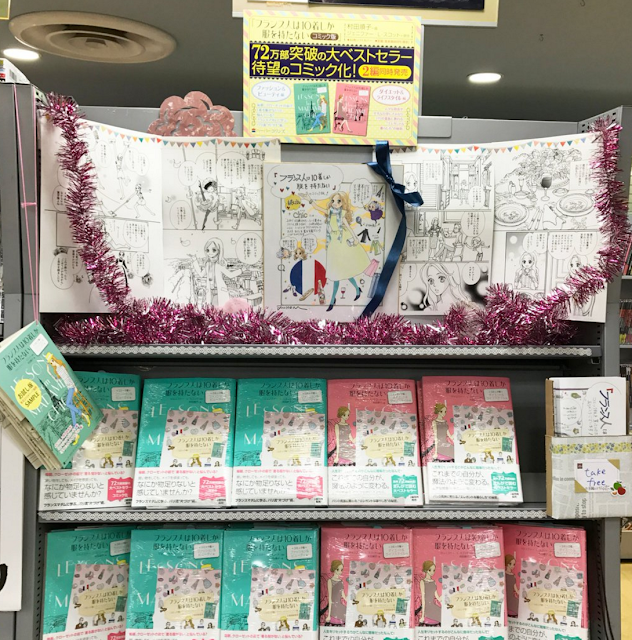 The Lessons from Madame Chic comic book is now available in Japan from Harper Collins. Here is another beautiful display showing some of the artwork from Junko Murata. On Facebook, Lindsay writes: Oh my goodness, LOVE your wardrobe! I'm wearing a similar chambray dress today...as I was getting dressed in the locker room at my gym five middle aged women stopped mid-conversation with one another and thanked me for taking pride in my attire. I explained how you've guided me to do this and they were thrilled and amazed that I looked so nice to "just run errands!" One lady actually clapped her hands with joy! Happy Monday to you and your beautiful family! Dear Lindsay, I loved your story. It's becoming so unusual to look presentable in today's society that those ladies really took note and applauded you. I applaud you too! I hope you enjoy today's talk-through! Be sure to stop by the blog tomorrow for a very special bonus post. I'll be partnering with Halsbrook.com to share 6 ways to style a neutral dress. It is a very fun post, you don't want to miss it! YSL The Shock Burgundy Mascara | First Impression | How Did It Wear? 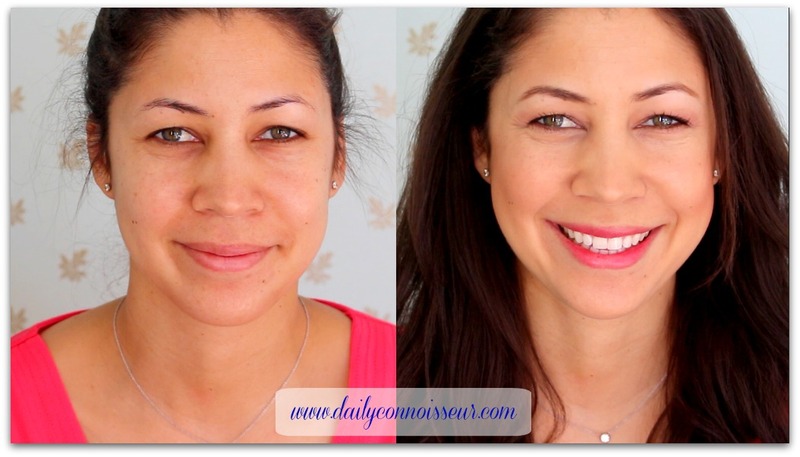 Continuing the beauty theme this week, I have a "day in the life of a new mascara" video for you. When I went to purchase my favorite YSL faux cils burgundy mascara at Nordstrom, they were out, but they did have this new one called The Shock ! I try out the mascara in the morning and come back in the evening to let you know how it did. Plus, what is going on with my hair?! I hope you enjoy this fun video. Yes, I loved The Shock, even more so than the original mascara. It is tricky when applying to your lower lashes, but other than that, I give it 5 stars! If you have tried The Shock, let me know what you think. Or, if you know of any other mascara brands that have a burgundy shade, please let me know and I will try it out. I will be going on spring break from the blog next week, so there will be no posts, but look for me back on Monday, April 17th for the long-awaited ten-item wardrobe video for spring/summer 2017! Lucia from Cleaning in the Cold has written about The Daily Connoisseur in her new post, Get Cleaned Up Before You Clean. Thank you, Lucia! @Jenneliserose shares a beautiful picture of the Madame Chic books and roses... She has such a beautiful Instagram account, you should check out her amazing pictures! 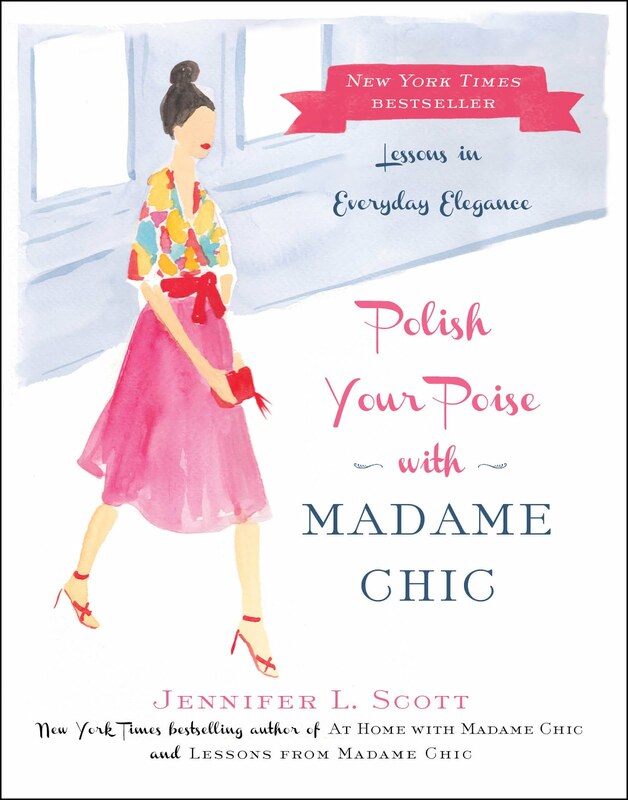 Ann Martin writes: Watermelon is such a pretty shade on you! I haven't tried Benecos lipstick... have you found it to be long-wearing? Thank you, Ann! I do find the Benecos lipstick to be long-wearing. I really love that color. It's become a favorite of mine. I'm wearing it again in today's video. Today, I would love to know what mascara you currently love. Do you have another burgundy mascara recommendation for me? I will see you back on April 17th for the ten-item wardrobe video. Have a wonderful week! 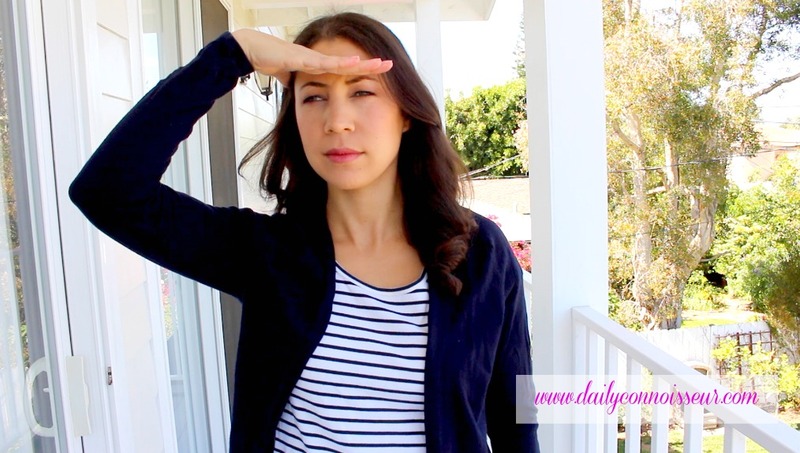 In today's le no makeup look post, I'm thinking pink! This is a rosy-hued, natural makeup look that is great for spring. As I always mention, you do not have to use the exact makeup I use in the video to achieve this look. Look for similar colors and shades that you already have in your makeup bag. For those who are curious as to what makeup I use in the video, I have listed it below. Laura Mercier Eye Art Artist's Palette (shades Primrose and Fresco). I apply Primrose over the lid into the crease. I apply Fresco just in the crease. MAC bronzing powder (this was limited edition and is no longer available). Any bronzing powder will do for this look. Carolyn writes: I loved seeing the Blue Willow plate. I recently acquired a vintage set of Blue Willow dishes, I enjoy using my different sets of old dishes to make a simple meal more special. Add a pretty place mat and napkin and you have added a little extra touch to an ordinary day. Thank you for your positive and encouraging message. Thank you, Carolyn! The blue willow plates were gifts from my mother-in-law. They are my favorite plates! I have always loved the blue and white theme and think they make any meal look gorgeous, even a simple one like Creamed Salmon over Noodles! Thank you for your encouraging comment. This week I would love to know... how did you like le no makeup look? What is your makeup routine for spring? Do you have any makeup recommendations to share with us? Let me know and your comment could be chosen as comment of the week on the blog.